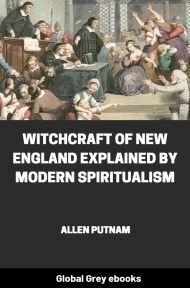 From the Introduction: "An article in The North American Review, for April, 1869, is mostly devoted to a notice of the work published by me, in 1867, entitled Salem Witchcraft, with an account of Salem Village, and a history of opinions on witchcraft and kindred subjects. If the article had contained criticisms, in the usual style, merely affecting the character of that work, in a literary point of view, no other duty would have devolved upon me, than carefully to consider and respectfully heed its suggestions." 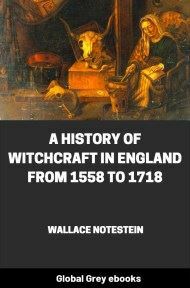 In the first place, I venture to say that it can admit of no doubt, that Increase Mather and his son, Cotton Mather, did more than any other persons to aggravate the tendency of that age to the result reached in the Witchcraft Delusion of 1692. The latter, in the beginning of the Sixth Book of the Magnalia Christi Americana, refers to an attempt made, about the year 1658, "among some divines of no little figure throughout England and Ireland, for the faithful registering of remarkable providences. But, alas," he says, "it came to nothing that was remarkable. The like holy design," he continues, "was, by the Reverend Increase Mather, proposed among the divines of New England, in the year 1681, at a general meeting of them; who thereupon desired him to begin and publish an Essay; which he did in a little while; but there-withal declared that he did it only as a specimen of a larger volume, in hopes that this work being set on foot, posterity would go on with it." 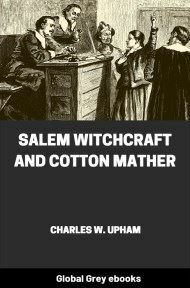 Cotton Mather did go on with it, immediately upon his entrance to the ministry; and by their preaching, publications, correspondence at home and abroad, and the influence of their learning, talents, industry, and zeal in the work, these two men promoted the prevalence of a passion for the marvelous and monstrous, and what was deemed preternatural, infernal, and diabolical, throughout the whole mass of the people, in England as well as America. The public mind became infatuated and, drugged with credulity and superstition, was prepared to receive every impulse of blind fanaticism. The stories, thus collected and put everywhere in circulation, were of a nature to terrify the imagination, fill the mind with horrible apprehensions, degrade the general intelligence and taste, and dethrone the reason. They darken and dishonor the literature of that period. A rehash of them can be found in the Sixth Book of the Magnalia. The effects of such publications were naturally developed in widespread delusions and universal credulity. They penetrated the whole body of society, and reached all the inhabitants and families of the land, in the towns and remotest settlements. 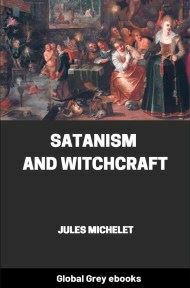 In this way, the Mathers, particularly the younger, made themselves responsible for the diseased and bewildered state of the public mind, in reference in supernatural and diabolical agencies, which came to a head in the Witchcraft Delusion. I do not say that they were culpable. Undoubtedly they thought they were doing God service. But the influence they exercised, in this direction, remains none the less an historical fact. "The things to be esteemed memorable are, especially, all unusual accidents, in the heaven, or earth, or water; all wonderful deliverances of the distressed; mercies to the godly; judgments to the wicked; and more glorious fulfilments of either the promises or the threatenings, in the Scriptures of truth; with apparitions, possessions, inchantments, and all extraordinary things wherein the existence and agency of the invisible world is more sensibly demonstrated. "—Magnalia Christi Americana. Edit. London, 1702. Book VI., p. 1. All communications, in answer to this missive were to be addressed to the "President and Fellows" of Harvard College. 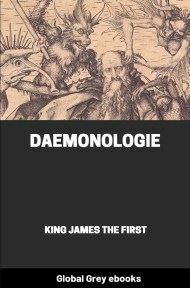 The first article is as follows: "To observe and record the more illustrious discoveries of the Divine Providence, in the government of the world, is a design so holy, so useful, so justly approved, that the too general neglect of it in the Churches of God, is as justly to be lamented." 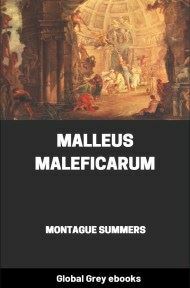 It is important to consider this language in connection with that used by Cotton Mather, in opening the Sixth Book of the Magnalia: "To regard the illustrious displays of that Providence, wherewith our Lord Christ governs the world, is a work than which there is none more needful or useful for a Christian; to record them is a work than which none more proper for a Minister; and perhaps the great Governor of the world will ordinarily do the most notable things for those who are most ready to take a wise notice of what he does. Unaccountable, therefore, and inexcusable, is the sleepiness, even upon the most of good men throughout the world, which indisposes them to observe and, much more, to preserve, the remarkable dispensations of Divine Providence, towards themselves or others. Nevertheless there have been raised up, now and then, those persons, who have rendered themselves worthy of everlasting remembrance, by their wakeful zeal to have the memorable providences of God remembered through all generations." These passages from the Mathers, father and son, embrace, in their bearings, a period, eleven years before and two years after the Delusion of 1692. They show that the Clergy, generally, were indifferent to the subject, and required to be aroused from "neglect" and "sleepiness," touching the duty of flooding the public mind with stories of "wonders" and "remarkables;" and that the agency of the Mathers, in giving currency, by means of their ministry and influence, to such ideas, was peculiar and pre-eminent.